Today a paper authored by 44 scientists was published in the scientific journal Nature, reporting a potential new class of immunotherapy drugs to treat some of the most common cancers. The study shows how these molecules work and what they might mean for the future of cancer treatment. The immune system is a complex network of cells that work together to prevent infection, illness and disease. The cells that make up the immune system can detect thousands of triggers, from viruses to parasitic worms, known as pathogens. Importantly, immune cells can tell the difference between the body's own cells and foreign cells or material. Once the immune cells lock down on their target, they fine-tune a response to destroy the invading pathogen. It's a powerful network, and scientists have been looking at new ways of using the immune system to fight cancer and to answer the question: Can we train the immune system to identify cancer cells as their target and flag them for destruction? One of the proteins that piqued the scientists' interest is called STING. When active, it triggers the body to release a subset of T-cells that are capable of recognising and destroying cancer cells. But can it be activated? In the paper published today, the scientists describe their work to find new molecules to activate STING. Joshi Ramanjulu, senior director of medicinal chemistry and lead author on the study, says, "Finding a molecule that is a match with the protein you're looking for is a difficult process. We've been studying STING for a number of years to learn more about how it works and what it causes in the cell. Through screening multiple libraries of molecules, we found a family of molecules that showed promising activity, and by tweaking their properties, made them a more efficient activator of the STING protein." These molecules are the first of their kind and work differently to some of the other STING activators that are being developed. Joshi explains: "One of the potential advantages of these new molecules is they can be given by injection into the bloodstream as opposed to directly into a tumour, which can be tricky. They can potentially reach inaccessible solid tumours and clumps of cancer cells that have broken away from the main tumour, which could potentially expand the treatment options for patients. 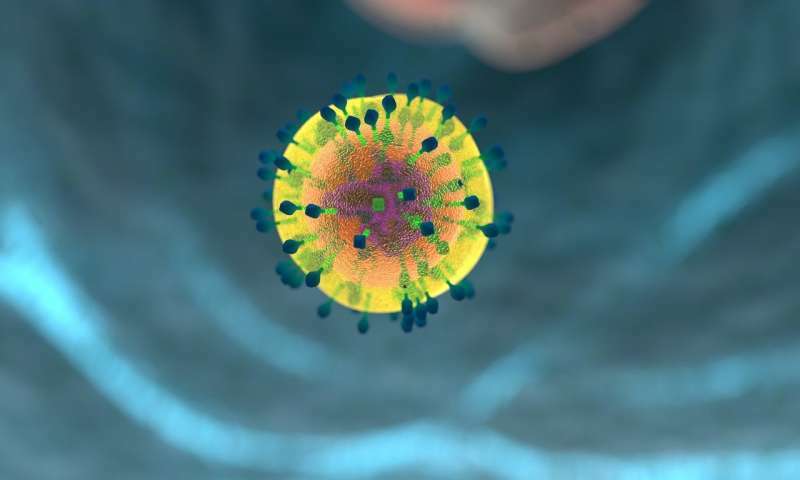 We also saw in mouse models of cancer that the new molecules activated the immune system 'memory,' meaning that if the cancer was to come back, then the immune cells were primed and ready to attack without needing more treatment." The scientists are excited about the potential of these new molecules, but acknowledge that this is early research and many years away from becoming an approved treatment. The molecules in this paper have not yet been tested in patients and are not approved for use by any regulatory authority. "We'll keep studying STING activators as potential cancer treatments. The next step for us will be to move into human safety studies of the molecules, which we expect to start in 2019. The biology of STING is really interesting, so we are also exploring the effects of switching STING on as a way of boosting response to vaccines and how switching STING off could be a potential treatment route for some autoimmune diseases such as lupus," Joshi added.